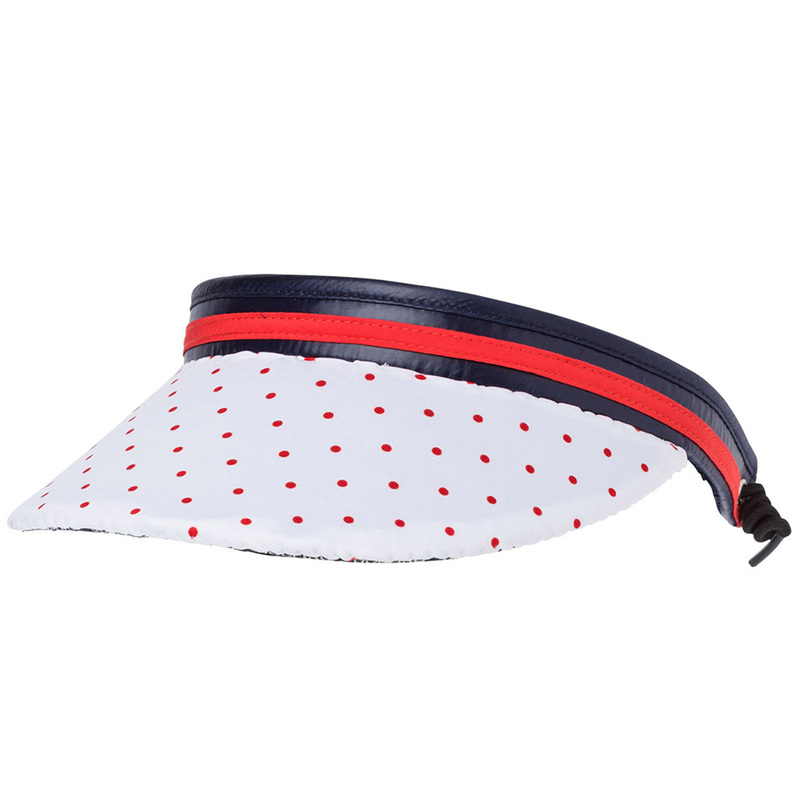 This high quality golf visor offers a fashionable and elegant look for the golf course. Constructed with a micro material, with soft towelling around the sides for elevated comfort during your golf game. 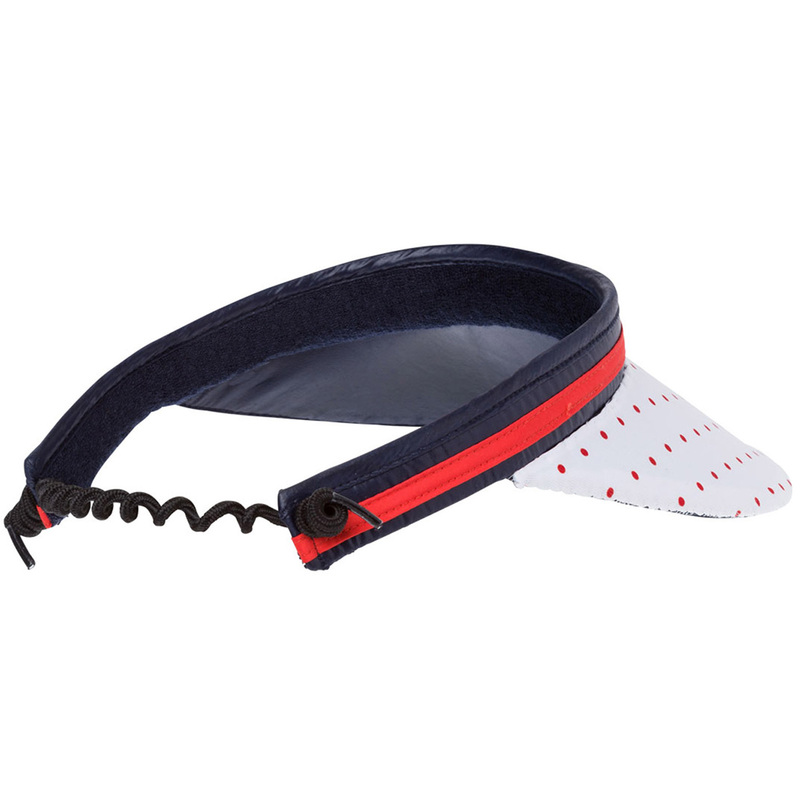 The visor features a beautiful dot print, and has an elasticated back for a more personalised fitting.